New UI (user interface) with additional functions. 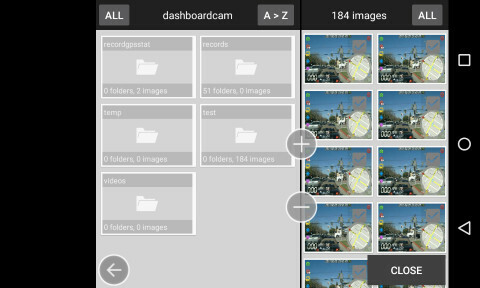 New functions include: Edit, move image locations and removing selected images from settings screen. 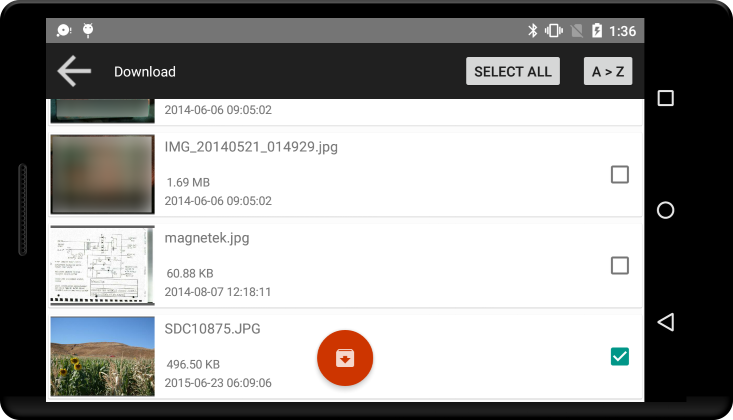 Easy and simple file explorer functions. 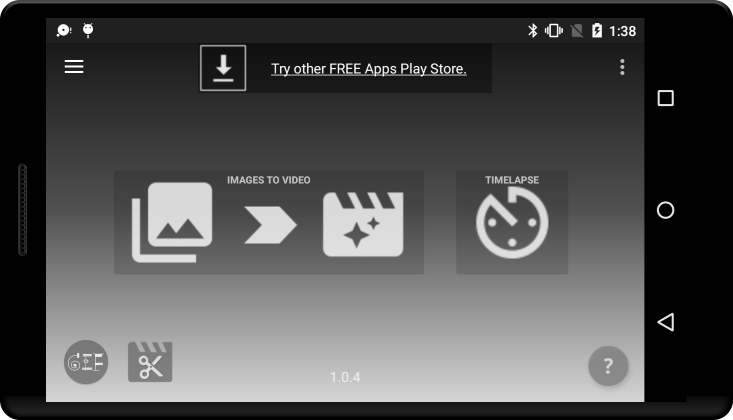 Convert multiple image files to video file. 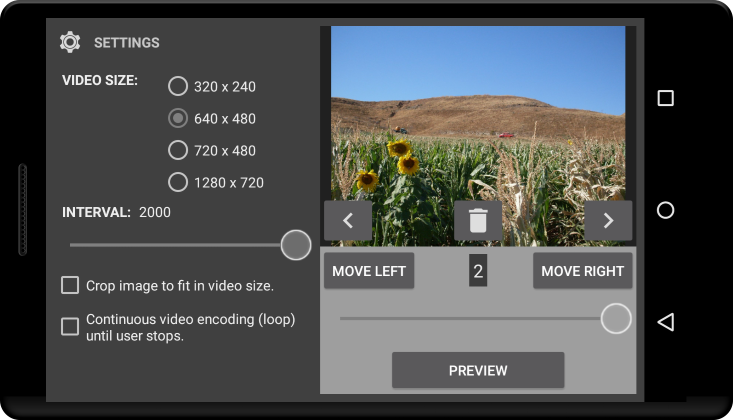 Easy to use Time-Lapse functions; optimized for the video converting. 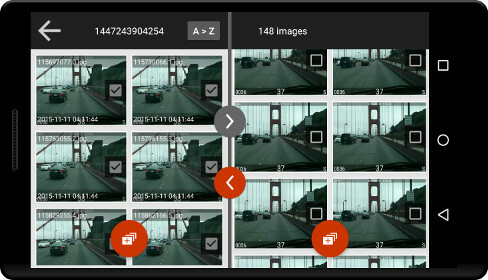 Convert existing multiple image files to the video file. 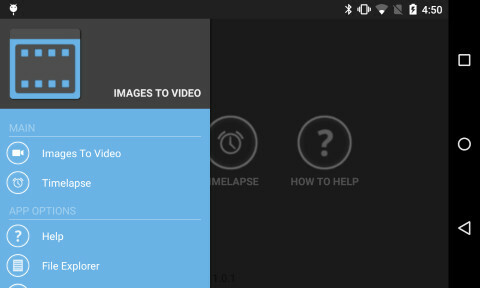 Take time-lapse photos, and convert to the video file. 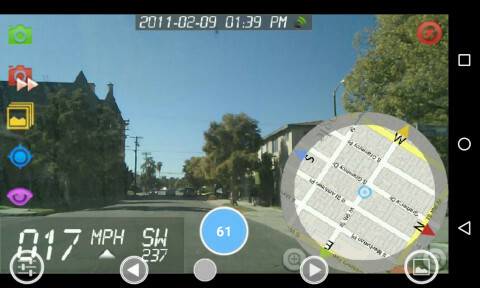 This new app replaces the embeded app from Camera Remote, Dashboard Cam, and Camera Trigger apps. Intervals between the images; mili-seconds (1000 == 1 second). Smaller image file sizes would run more smoothly. 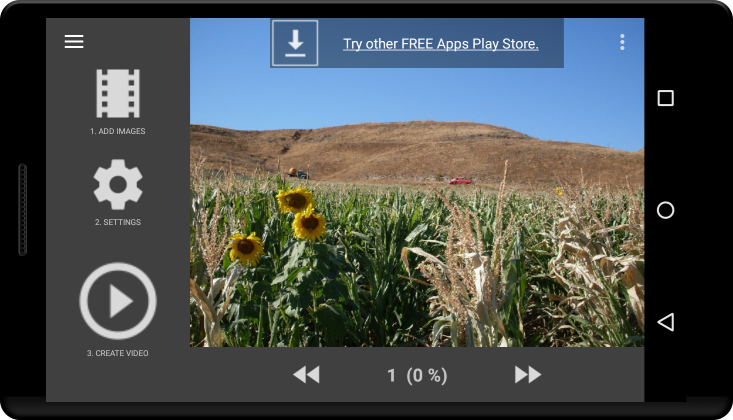 Crop Fit, if image (photo) size ratio is different from video size, the image will be cropped to fit for the video size. 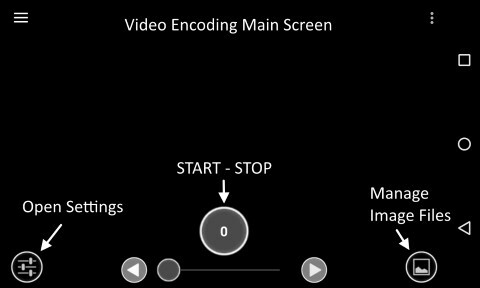 Loop Image, video encoding will be continuously run until user stops the encoding manually. 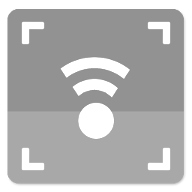 Preview, check and adjust the image intervals while preview is running. 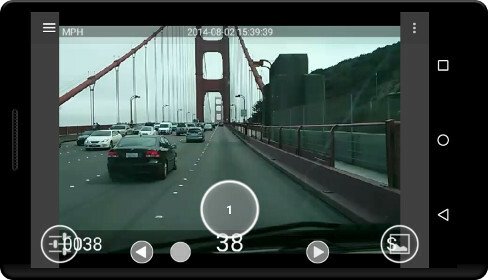 The video recording could be stopped at any time, by clicking the start/stop button. 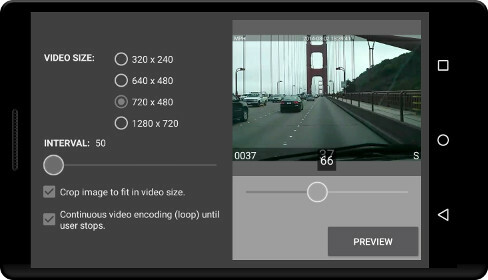 Image Size, app will select appropriate photo (image) sizes for the selected video size. 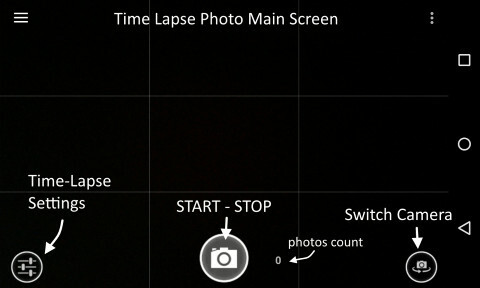 Time Lapse Interval, camera photo time-lapse interval in seconds or minutes. 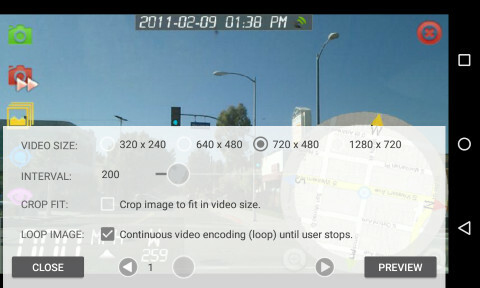 Auto Focus, if android device camera supports auto focus, app will use the auto focusing functions. 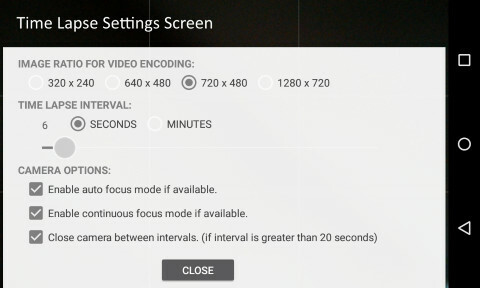 Continuous Focus, continuous focus is not recommended for the shorter timer intervals.  Close Camera, between the timer intervals; it will save device battery usage. 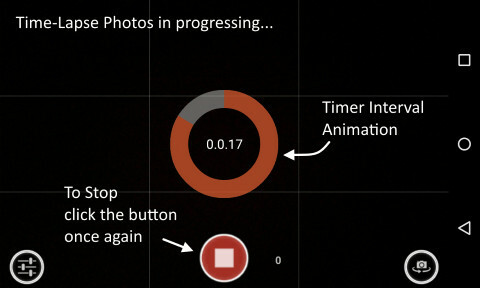 While in the time-lapse is in progressing, the next interval timer animation will show. 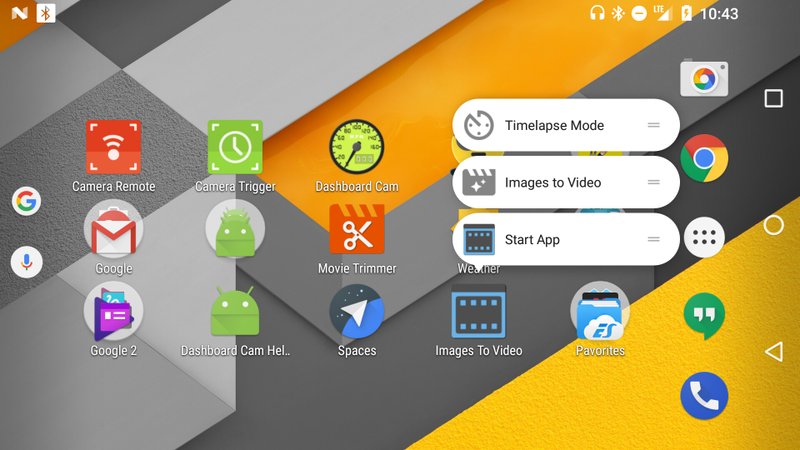 User could stop time-lapse any time, by clicking the start/stop button. Camera could be switched to front or back camera.